Mt. Equinox. And a cow. Manchester is about an hour-and-a-half from Albany and the drive itself is beautiful. For most of the time you're driving through foliage and past quaint little towns and old houses that will make you second-guess yourself about why you don't live in the countryside, eating maple syrup everyday. 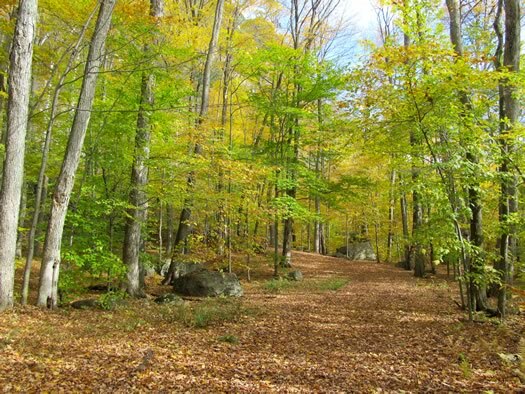 + If you want to hike your way through the foliage, there are numerous trails, ranging from beginner to intermediate to expert trails, so you can choose your comfort level. + But for those of you who aren't quite ready to hike up a mountain, or just want to get some great views, there's also a "Skyline Drive," which is a toll road and open through the end of October. 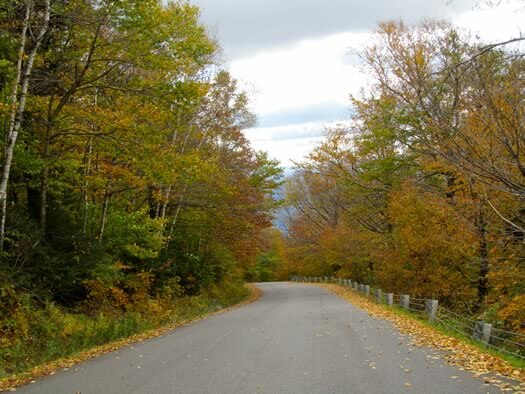 This is a road that goes up the side of the mountain, offering lookout points along the way and views of Manchester, the Taconic Ridge, the Green Mountains, and even the Adirondacks. The road goes all the way up to the summit at 3,855 ft.
No matter which trail you choose or if you opt for the road, you'll see plenty of fall colors. And if you go early enough in the day, you can finish your excursion in Manchester for dinner or shopping. The view from Sleeping Beauty. The Sleeping Beauty trail's distance is not too long and you see groups of all ages on the way. 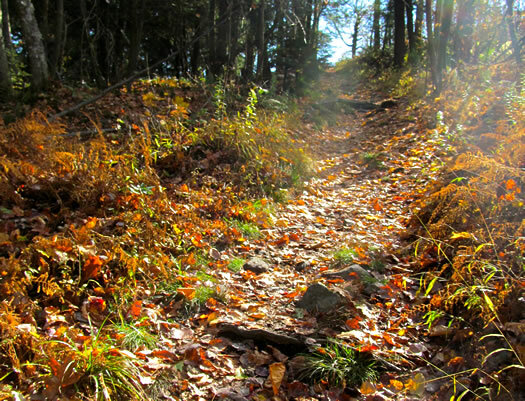 From the first trailhead, right off of Shelving Rock Rd, the trail to the summit is 3.4 miles. But if you visit before winter, you can actually drive past the first trailhead down the road to Dacy's Clearing and park there, making your trail only 1.8 miles to the summit. 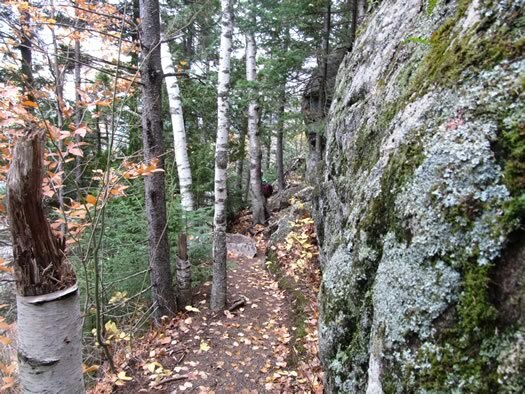 The trail has its inclines, but nothing too steep and it always levels off after, giving you time to breathe. And on a sunny day, not only does the sun shine through the fall leaves, but the view of the changing trees from the summit is great. 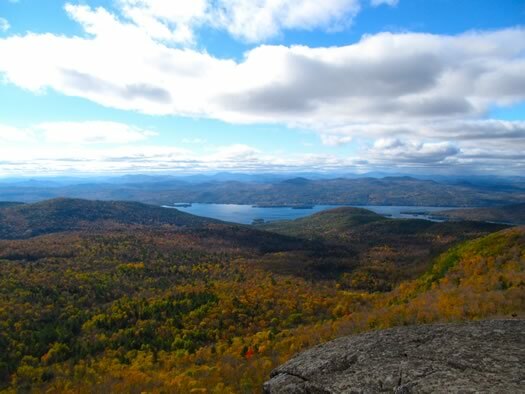 It's a good introduction to hiking, with a big pay off of spectacular views of Lake George at the end. Something else kind of cool is that the trail is visible on Google Maps. Okay, it's not so cool if you're trying to, you know, get away from society and connect with the wilderness. But sometimes on a trail I'll find myself thinking: "I wish I knew whereabouts I was on this trail," just for fun. And on Sleeping Beauty, you can. 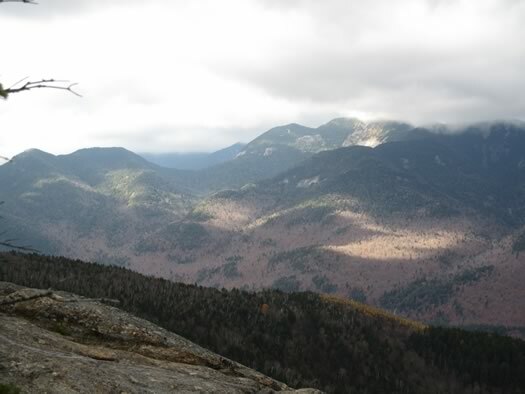 If you have some experience hiking, Noonmark Mountain in the High Peaks area of the Adirondacks is the perfect moderate hike for the fall season. The trailhead is easy to find, located right off of Rt. 73 and down the road from the well-known Ausable Club. From the trailhead, it's 2.1 miles to the summit and most of the trail is a moderate climb, with the only tricky parts being deep mud and wet rock. (Use caution on wet rocks and wet tree roots.) Not only does the summit offer an absolutely amazing view of the Great Range, the numerous lookouts that lead up to the summit are beautiful as well. On this trail, my suggestion is to stop every once in a while, take a breather, and look around. 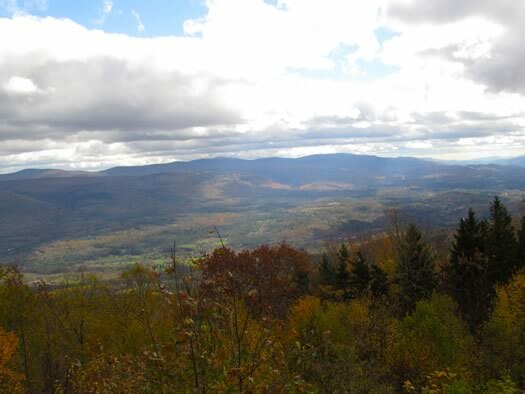 If you're still in the trees, the colors will impress; if beyond the trees, you'll find views of Keene Valley, the High Peaks, and Ausable Club. Make sure to bring your camera. With a summit at 3,556 ft., the view is just as good as many High Peaks with about 600 feet less effort. 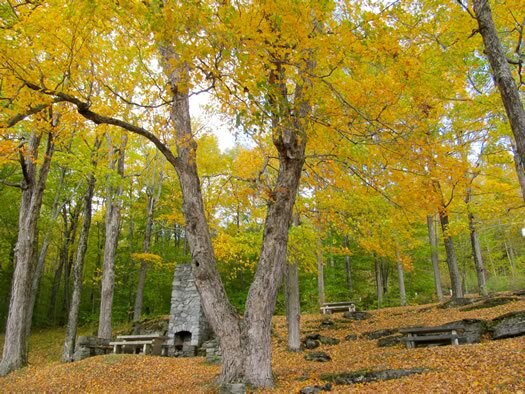 It's definitely not for beginners, but if you're looking for a fall hike that challenges you, Noonmark is perfect. 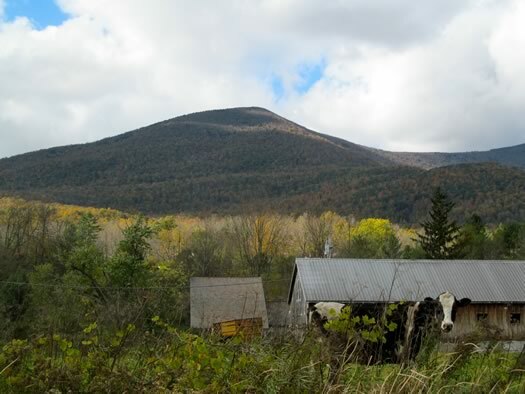 Cool fact: Noonmark was given its name because it lies almost directly south of Keene Valley; so when the sun is directly over the summit, it "marks noon." Also, the original trail was scouted by Henry L. Stimson, who served as Secretary of State for Herbert Hoover and Secretary of War for Franklin D. Roosevelt. If you're making recommendations for people to climb the High Peaks this time of year, you definitely need to tell them to bring snow gear and be prepared for inclimate weather.